Things got started off to a great start at Camp CoBeAc. The churches of the Great Lakes Youth Conference got together and we had an amazing week. Highlights include parents in tears watching as their son accepts Christ as his Savior on a Tuesday night! Watching as well as teens learned how to pray for lost people and their lost friend for whom they were praying for got saved before the end of the week! It was an incredible thing to behold the excitement of teens over not sports, not games, BUT souls!! Fantastic week!! Able to get acquainted with some great churches and youth pastors as well. Moved on over to Somerville, AL where it was an incredibly busy week, but was wonderful to watch as 16 came to know Christ as their Savior. 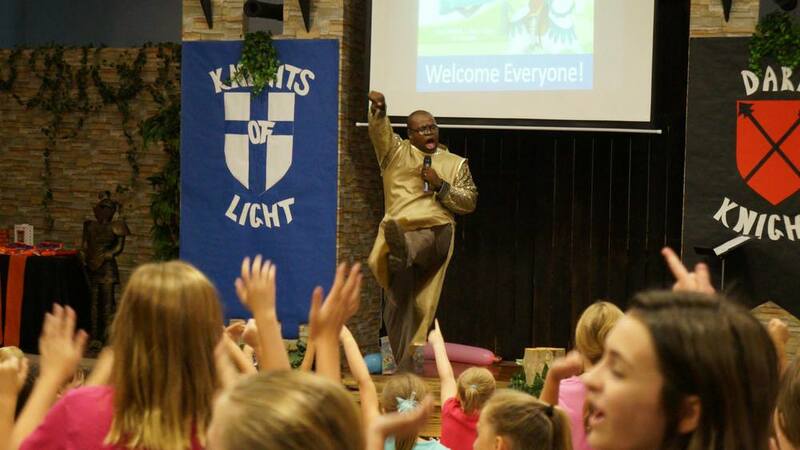 The VBS was action packed and I was busily preaching around 28x's this week! God moved and we were thankful to have a part. Now we are in Camp Bethel in Amherst, Va, and things are moving in the right direction. Praying for teens to get saved this week, as we know that there are some who are not saved. Thanks for your prayers as we continue to serve Him!